A LITTLE MORE THAN TWO DAYS AGO, KICKIN VALENTINA FRONTMAN JOE EDWARDS ANNOUNCED VIA FACEBOOK THAT HE WAS NO LONGER IN THE BAND. EDWARDS’ EXPULSION FROM THE GROUP WAS PROMPTED BY THE SINGER REFUSING TO GO TO GERMANY TO PLAY THREE SHOWS INCLUDING THE BANG YOUR HEAD FESTIVAL FROM JULY 12 TO 14, 2018. SHORTLY AFTER EDWARDS’ FACEBOOK POST, KICKIN VALENTINA ANNOUNCED THAT THEY WERE LOOKING FOR A NEW LEAD VOCALIST. SLEAXE ROXX CAUGHT UP WITH EDWARDS TO DISCUSS THE REASONS WHY HE’S NO LONGER IN THE BAND AND TO FIND OUT WHETHER HE AND HIS NOW FORMER BANDMATES — BASSIST CHRIS TAYLOR, GUITARIST HEBER PAMPILLON AND DRUMMER JIMMY BERDINE — CAN PATCH THINGS UP. Sleaze Roxx: This is probably not the way that you ever envisioned ending things off with Kickin Valentina. Were you surprised by how things ended or were there problems brewing leading up to it? Joe Edwards: Probably not surprised. Yeah, maybe there’s a few things going on that led up to it. Sleaze Roxx: For how long had the problems been brewing in your mind? Joe Edwards: Hmmm. Probably for about six months or so maybe. 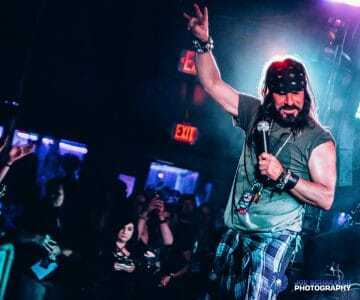 Sleaze Roxx: OK. What were the issues? Sleaze Roxx: [Laughs] Well that’s pretty frank. Actually, you mentioned in your Facebook post [on July 10, 2018] that you were having some problems with your business. Did that interfere with your time in the band? Joe Edwards: Yes, it did. It did. I’ve had my business for about 15 years and it’s just been hard to find help these days. I’ve been out there by myself basically running it and it has been taking my time. I’ve been flying to shows instead of riding with them. Sleaze Roxx: And what kind of business do you have? Joe Edwards: It’s a landscaping business. SUBSCRIBE TO OUR CHANNEL* Official Video for “Wrong Way” from the CD Super Atomic out on Mighty Music/Target Group. CD is available at iTunes, Amazon and all other major download sites. You can purchase physical copies at any of these links. 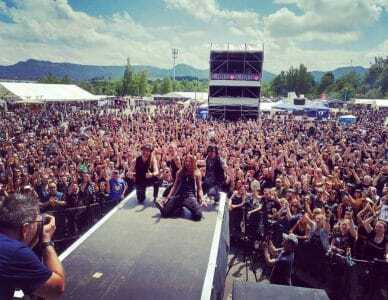 Sleaze Roxx: It seems that your bandmates were very unhappy that you pulled out of the Germany shows, which includes the Bang Your Head Festival, which is a very prestigious festival. What prompted you to pull out of that? Joe Edwards: I really did not want to pull out of it. They weren’t lying. It was a last minute thing. For me, I was planning on going and when it came down to it, I was going to leave and just let things fall where they went with my business but I couldn’t do that. I couldn’t do it when it came right down to it. I was hoping that they’D understand but that’s how things went. I never wanted to quit. 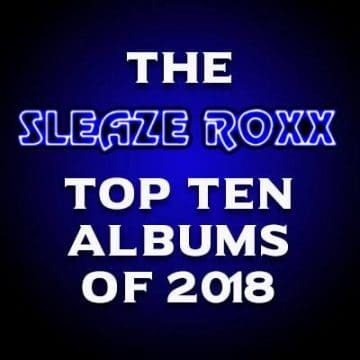 Sleaze Roxx: I guess that one thing that could have been done is that if you knew that you weren’t able to make it, why didn’t you suggest to your bandmates that they get a replacement for you for those shows. Joe Edwards: Because I wanted to go. I was planning on going up until the last day. Then I did, mostly talking to my son and it was baseball season and stuff like that. If I went, it probably wouldn’t have been good for that situation. 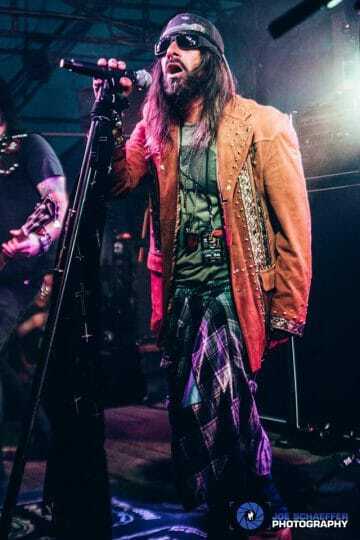 Sleaze Roxx: Obviously, you must have known that once you tell them that you can’t make it to the shows in Germany, that’s going to cause a lot of problems within the band for you. Correct? Sleaze Roxx: So obviously you took a chance there because it was going to be very hard on the band to have to pull out from the Germany shows. Sleaze Roxx: I’m not trying to give you a hard time. I’m just trying to think with you on what would happen. I know that you said that you didn’t quit but at the same time, you knew that you were putting the band in a very difficult position once you announce that you’re not going to play those shows. Sleaze Roxx: And you were the only lead singer for the band, correct? Sleaze Roxx: And when you were having difficulties, did you have any thoughts of getting someone to replace you temporarily or you were just hoping to make all the gigs? Joe Edwards: I was just hoping to make them. 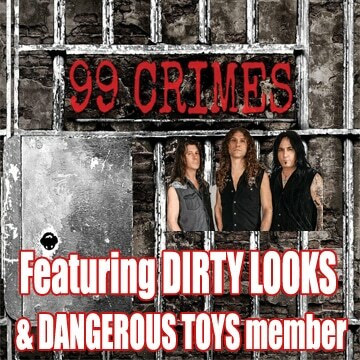 Sleaze Roxx: Was it the first time that Kickin Valentina were canceling shows like this? 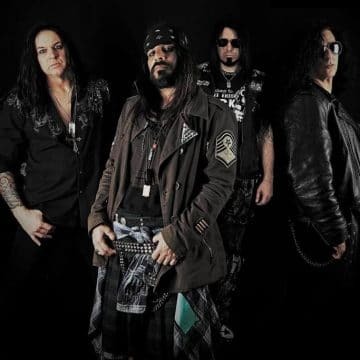 Sleaze Roxx: Kickin Valentina have announced that they are moving forward to find a new singer. Did you have any thoughts that you could rectify the situation after you put up your first Facebook post a couple of days ago [on July 10, 2018]? Joe Edwards: Ummm. Maybe. Maybe. I don’t really know. Sleaze Roxx: I guess that you haven’t put your mind to it? Joe Edwards: Not really. No [laughs]. 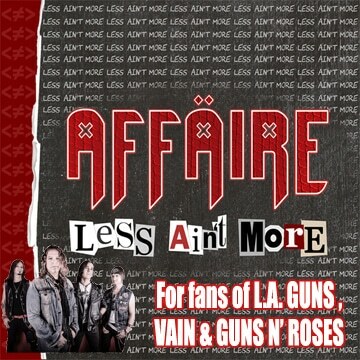 Sleaze Roxx: Fair enough. Interestingly, the group now has a temporary singer to fill in some of the gigs. In hindsight, do you think it might have been better to just tell the group that “I can’t play with you” and see if they can get a temporary singer to fill in for you while you sorted out your stuff on the personal side? Joe Edwards: Ummm. Well, I told them that I could do the other shows where we weren’t away for a long time. After the Germany shows, I could pretty much do those. Being away for four days is a lot different than seven [days] or two weeks. 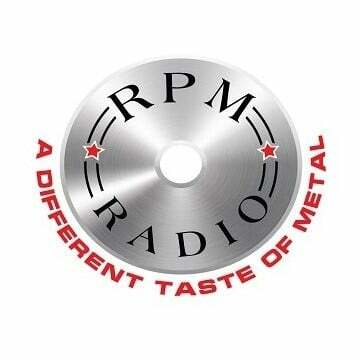 Sleaze Roxx: So what do you think of their choice of having Joe Flynt front the band right now on a temporary basis? Joe Edwards: I think it’s great. I know Joe. Joe’s a great guy and a great singer. He’s a great fill in! 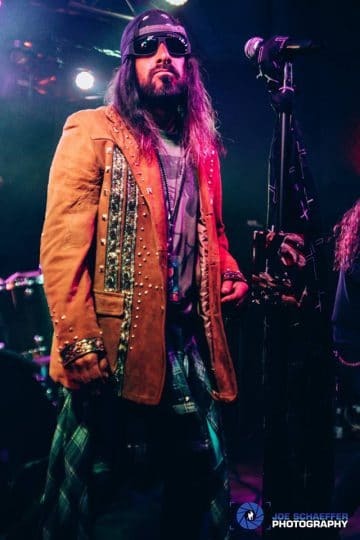 Sleaze Roxx: If you were able to patch things up with the rest of your [former] bandmates, would you like to go back to being the lead singer for Kickin Valentina? Joe Edwards: Sure. Of course. I put in a lot of time in the band, writing the lyrics for the last two CDs. Yeah, I would. Sleaze Roxx: Have you reached out to them to try to do that? Joe Edwards: Errr. Yeah, I don’t think that they’re interested [laughs]. I really don’t think… There’s some other things like I said that weren’t involved with the working thing. There’s other things that they pointed out to me that they didn’t like about my behaviour and stuff like that. Sleaze Roxx: Do you agree with them or are they out to lunch on that? Joe Edwards: Ummm. I just think that they don’t know the type of person that I am. I don’t think that they really knew who or just what kind of person that I am. I think that they saw some things about me and they were a little judgmental and I don’t think that they were true. And everyone has their flaws and there are things about them that may be strange [laughs] or whatever. I can say that I’m a little strange and might be a little bit hard to live with sometimes. But I’m pretty dedicated. I’ve always shown up. I’m kind of a lot different than the three other members in the band. Sleaze Roxx: It’s interesting that you say that you feel that they didn’t really understand or know you because at the end of the day, you spent a lot of time with these guys. How long have you been in the band? Joe Edwards: Ummm. Over four years. Sleaze Roxx: So even though you are saying that they didn’t really understand or know you, the reality is that you spent a lot of time with these guys, right? Sleaze Roxx: So was it just a question of you not opening up or you just not connecting with them? Why do you say that they just didn’t understand or know you? Joe Edwards: Maybe not opening up and not connecting. I’m not a big talker about a lot of things. it’s probably because I kept to myself a lot and that kind of thing. I can see why they wouldn’t know that. Some people judge and assume things you know. Sleaze Roxx: Do you want to share some of the things that you feel that they misunderstood you on? Joe Edwards: Ummm. I’m kind of aloof I guess. They’re — they’re all on the same track. They’re all on the same page all the time and most of the time, I kind of wasn’t on the same page on a lot of things, decisions that they agreed on that I kind of didn’t. And that’s fine. Everybody’s different. Sometimes, I would let things go and really not just push it. There were times when I really felt strongly about things. I think if someone, they never say anything about things that they really don’t like and than one day, they are just really, they really feel strongly about something, I think that’s kind of weird for people with quiet people. And reserved people, when they do say something, it’s kind of weird for them. Sleaze Roxx: I get that. So can you give me an example of something that you weren’t on the same page with the three of them? Joe Edwards: Errr. I really don’t want to say anything negative about them. I really like the guys. I’d rather not say. Sleaze Roxx: Fair enough. It sounds to me like you would be willing to try to patch things up with them and continue on as a foursome in the band. Am I correct? Sleaze Roxx: So tell me about — what were the highlights for you during your time in Kickin Valentina? Joe Edwards: I loved writing with them. It’s always exciting to get new tunes to write. It was great performing with them on stage. We all got along really well on stage. The writing process, stuff like that. Sleaze Roxx: Which is your favorite album out of the three that Kickin Valentina have released? Joe Edwards: I think that it had a little more substance to the songs. We worked a little harder on the tunes. We kind of went in a different direction than the first album but we stayed true to the energy and the drive and the music. Sleaze Roxx: So looking back now at what has occurred over the last few days, do you regret your decision to refuse to go to Germany? Joe Edwards: I regret? [Long pause] There’s a lot of decisions that I could say ‘yes’ but when it comes down to it and the reasons why I didn’t go — no. Joe Edwards: I definitely wanted to play that festival. I knew that it was really important to the band and us going. All the shows are really important. I wouldn’t never have done it unless I felt I had to. I felt that it was the right decision for a lot of reasons. Sleaze Roxx: Let’s say that you’re not able to work things out with the guys, will you continue in music? Joe Edwards: I’m really not sure yet. I don’t know. I’ve had a bunch of offers. People that want to do things that I haven’t entertained anything serious yet. I’ve been asked do some songs on some other CDs for some band. And I think that I am interested in doing that. I am also interested in continuing to write music. It’s one of my most favorite things that I love, that I like to do, and more than the other. And second would be singing and third would be the performing. Sleaze Roxx: If you had to give a public message to the guys now, what would you say to them? Joe Edwards: I would say that I apologize for how things went and I wish them the best. And I’m sure that they will do well. I am sure that they will find a great singer and hope that they continue to write good music.